Nnamdi Azikiwe's birthplace, Zungeru, originally uploaded by nobodaddy69. 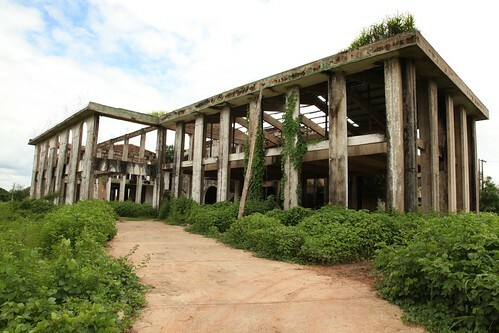 There was a visitor's centre planned at the site of Zik's birthplace, but the project was abandoned over a decade ago. What is left is a modern ruin. Zik's grave in Onitsha has suffered the same fate - an abandoned white elephant project and another modern ruin. Is this how we should remember past heroes?